"We've been trusting Art for over 33 years to repair.."
"Art and tony have been keeping my families cars on.."
"Art and Tony keep my older car running VERY WELL..."
"DON'T GO ANYWHERE ELSE! If you want honest, reliable,.."
"I would definitely recommend these guys! 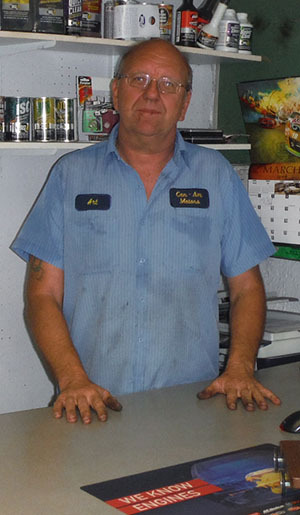 They're very honest and.."
"Been taking my cars here for twenty years. Never been.."
"Great place for service or repairs. No upsale for things.."
"Good service. Speaks directly to the problem and let's me.."
"Honest & trustworthy, You get what you need, not what.."
"YES avert positive experience. I will return." "Can Am was very honest and accurate in diagnosing the.."
"Been going to Can-Am for 15+ years. Art and the.."
"I can't tell any more people then I already do..."
"Great place to get your car repaired. Efficient and.."